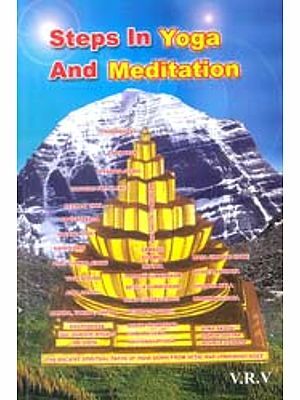 This present work of Saint Charandas is translated into English for the first time as no translation was available for the guidance of the practitioner. The language used by the saint is known as "Sadhukkadi Bhasa", as it contains words from all the languages of India. Therefore, while translating may be few errors are left, but I assure my readers, efforts to translate were honestly done. The Indian history is a witness to the fact that whenever the society was in need of social changes, every time some new system is born to replace the out-dated one. In the 10th century the same happened; Guru Gorakhnath took the lead to eradicated the Buddhist Tantriks and the same was followed by the devotee Saints like Tulsi and Kabir. They have also spoken about the Tantriks for whom there existed no difference between mother and wife. In such a situation a reformist was necessary and Saint Charandes was one of them. He has drawn the essence from Hatha pradipika, Yoga of Astanga Yoga. He ha used a very simple language so that the public in general could understand and practice. ksudha mitai nahim alasa ave."
This is on the physical level; on the mental level anger, greed, ego etc. are to be discarded or to be kept under control. Thus above both are possible if we follow the discipline in life. "Kamakrodha mada lobha aru rakhai na abhimana. Rahai Dinatai liye lagai ba maya bana". After discipline he emphasizes on Yamas and Niyamas. He has recognized 10 Yamas and 10 Niyamas. It seems that he has followed the tradition of Vasistha Samhita and not of Patanjali. He feels that non-violence should have its influence both on psycho-physiological level. The same is true about Niyamas. About Asanas he feels, though, the Asanas are 84 lakhs but 84 are important out of which two are important. These two are helpful in achieving Samadhi while rest others contribute for better health. ye do asana yoga sadhavaim"
After Asanas he has described about the 10 vayus and their places and activity in our body. This we do not find even in Hatha Pradipika or Gheranda Samhita. Also he has described the Chakras and Pranav. Tinaki ora na jane dei Pratyahara Kahave soi". He acknowledges the fact that the success in Pratyahara depends upon the success in Pranayama. After Pratyahara, he cames to Dharana and the he ha described many varieties of Dharana. After that he describes Dhyana. In the end he comes to Samadhi. Surprisingly he speaks of Kryias, Mudras at the end. He has failed at one point; when he describes Uddiyana. May be his original definition is lost. Whatever he describes as Uddiyana looks as if he is telling about Sanmukhi Mudra. "Bandha uddyana age kaha jihva ulata lagaya" etc. In short he has told everything in few words. That is his greatness. When you go through the text, sometimes it looks as if he is over-stretching the point or exaggerating it. But it is not so. When he speaks about renouncing the family life that does not mean he really feels it. Merely he emphasizes the importance of yogic practices to discard the family worries. There is nothing which cannot be practiced by the householder. Only the need is of a good teacher. Institution like Kaivalyadhama and others are well equipped to impart the training in this field. Therefore, the reader should not feel discouraged about it. Saint Charandas sincerely feels if you want happiness within you and without you, you must conquer the Prana. "Jyom jyom hove pra na vasa tyom tyom mana vasa hoya". He has warned us by saying that merely by reading the books "one should not go for the practice of Yoga". 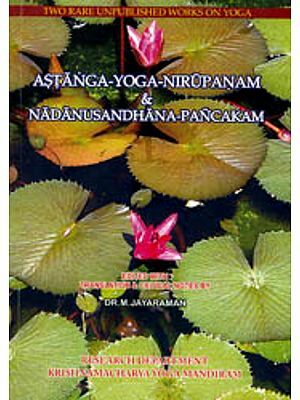 The book Astanga Yoga is a perfection in which his personality appears. Its simple language, deep meaning, his technical knowledge of yoga, description about the practices is of high order. 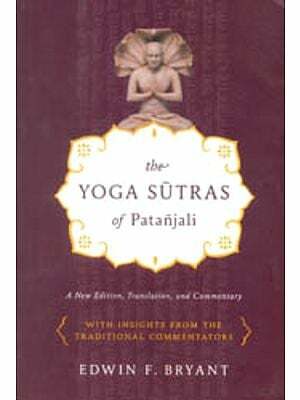 Though it cannot be a subject of comments but as a student of Yoga I have tried to violate my limits to comment; now it depends upon the readers to judge as to how far I have done justice in translating it. I can merely say that I have been honest in my effort throughout. Lucky I am to have the Grace of my teacher and the guidance from Swami Digambarji. I record my thanks to Yoga Mimamsa workers, specially to Shri Mittal and Shri Dave who tirelessly worked along with their staff bring to light his book I extend my special thanks to Miss Veronique and Doctor Paul Taylor for their active help rendered for the English translation which could make the book possible to reach in the hands of the readers. Doctor P. Jha, Shri Parimal and Shri Sahai are to be remembered for their suggestion, proof corrections and my thanks are also due to all of them. Though by mistake, the credit of the translation has come to me which hardly I deserve. I thank those all who are directly or indirectly connected with this work. 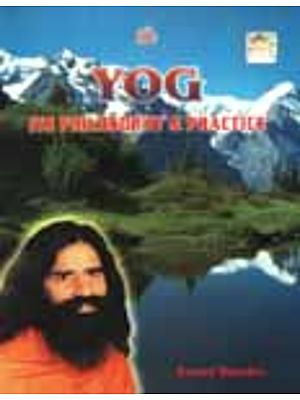 I am sure this book will prove useful to those who are really interested to move on the path of Yoga. Before I finish I will request all my readers to send their suggestions and correct me whenever and wherever they feel necessary.